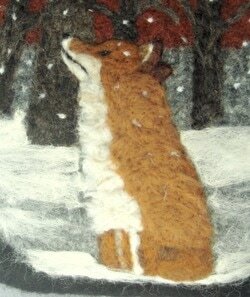 DESCRIPTION: "FOX IN THE SNOW" --I love love love this image. 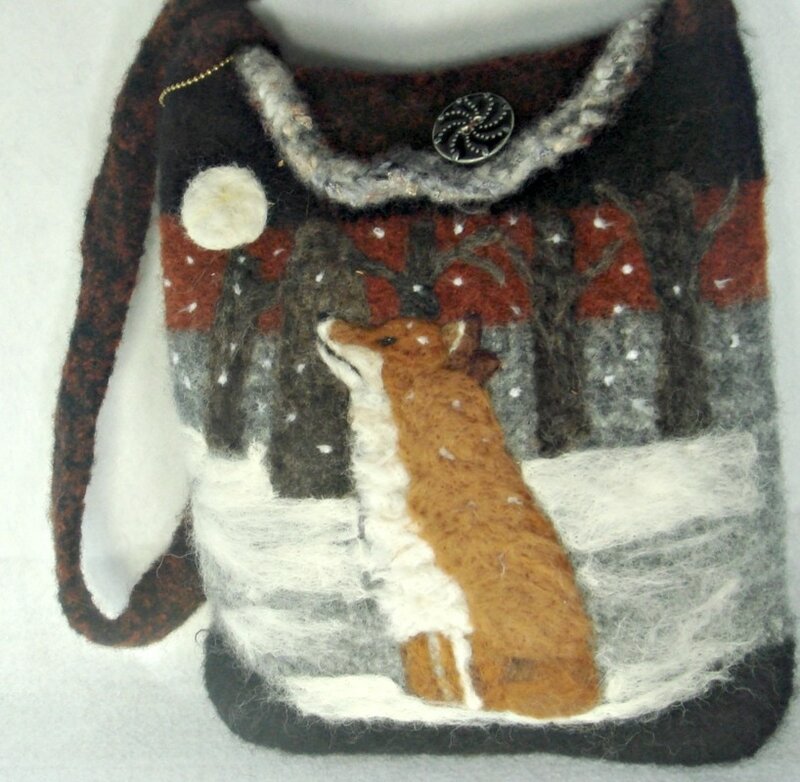 This gorgeous creature looks up, maybe at the snow falling on this coat, maybe at the moon. 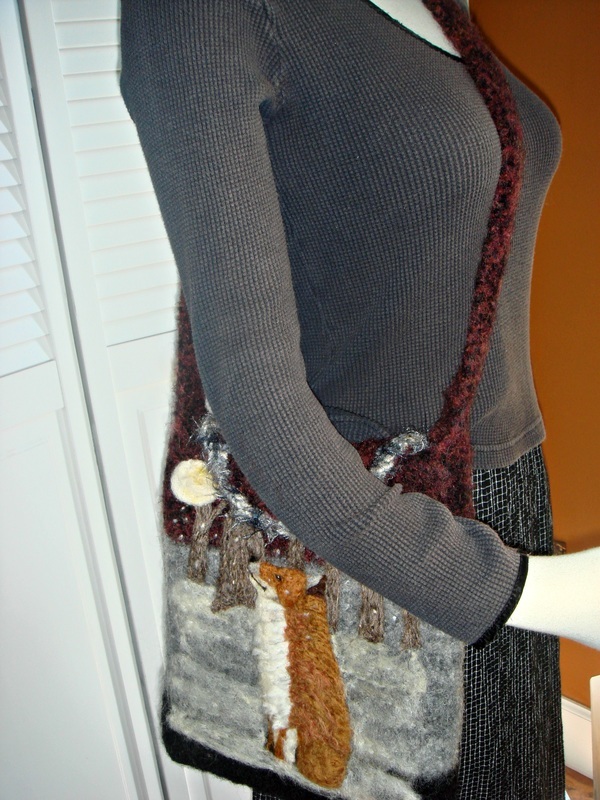 The colors of black, gray and rust are so versatile. The tote closes with a designer ceramic button and has an inside pocket. The measurements are: 12" wide by 12" high by 3" deep. The wide firm strap has a 22" drop. Special! !